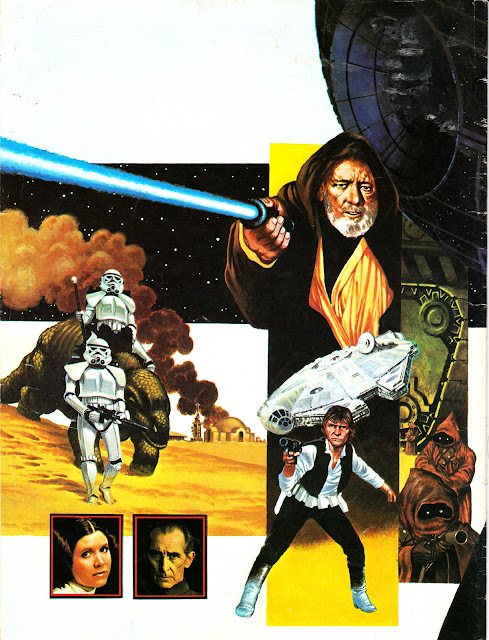 This is a fascinating sales brochure produced by Palitoy for the British toy trade. 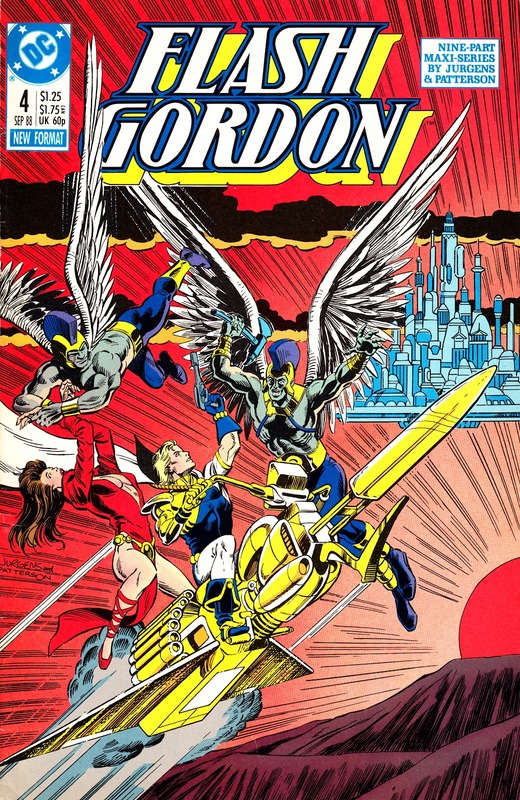 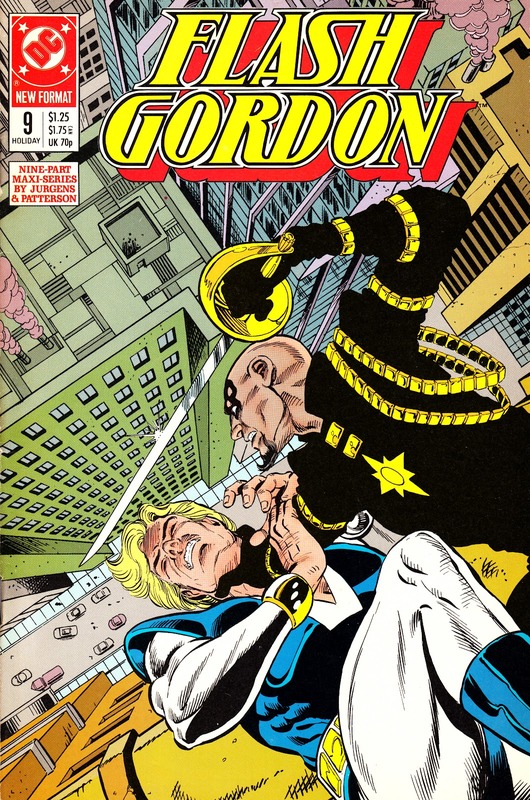 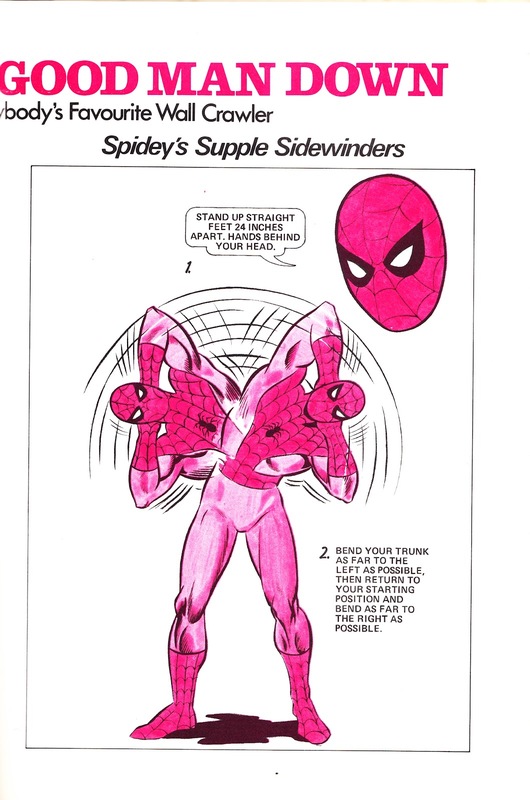 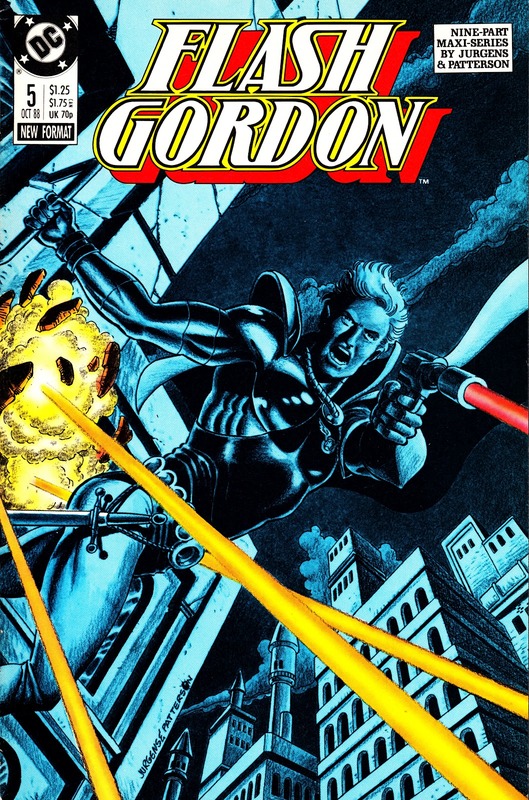 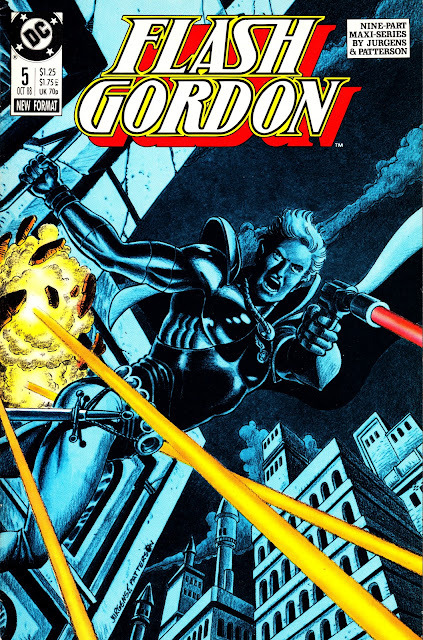 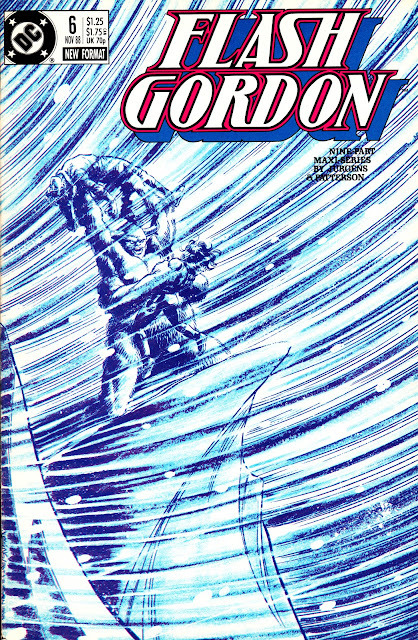 As it points out, a "masterstroke" of their Action Force launch strategy was planned to be a new 24-page ACTION FORCE weekly comic, published by Marvel UK and timed for a June 1983 launch (supported, apparently, by TV promotion). The image below is, presumably, a mock-up rather than a finalised cover. 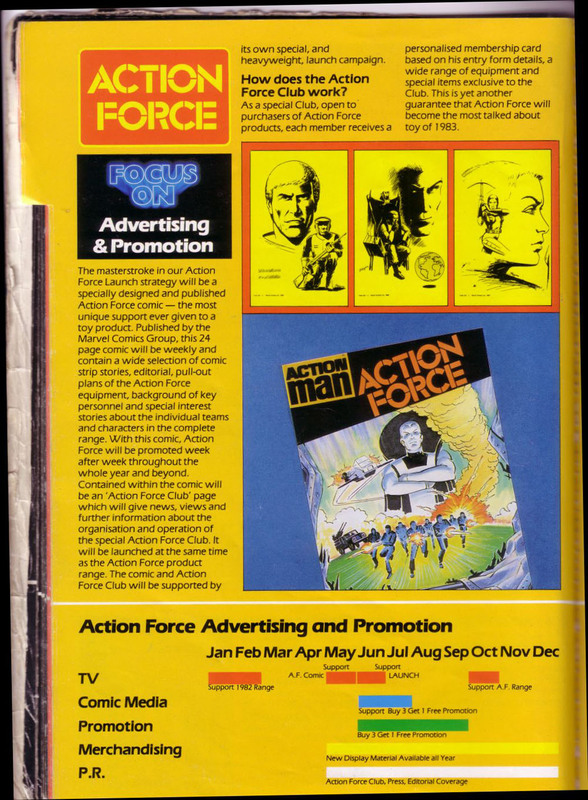 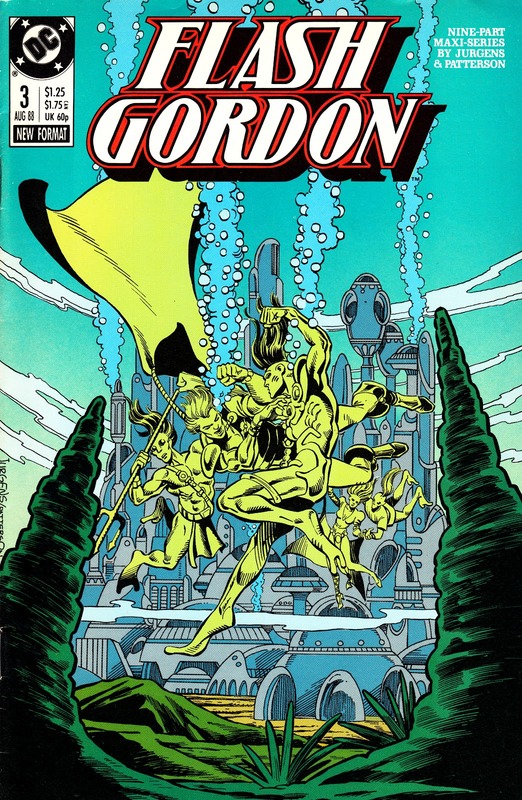 For reasons unknown, the Marvel weekly didn't happen and an Action Force strip appeared for four weeks in IPC's BATTLE during June. 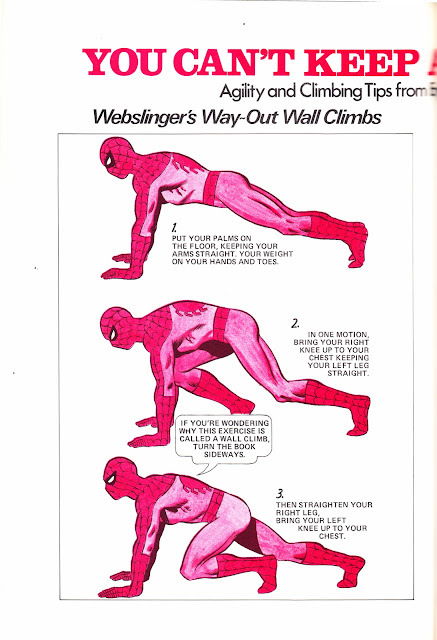 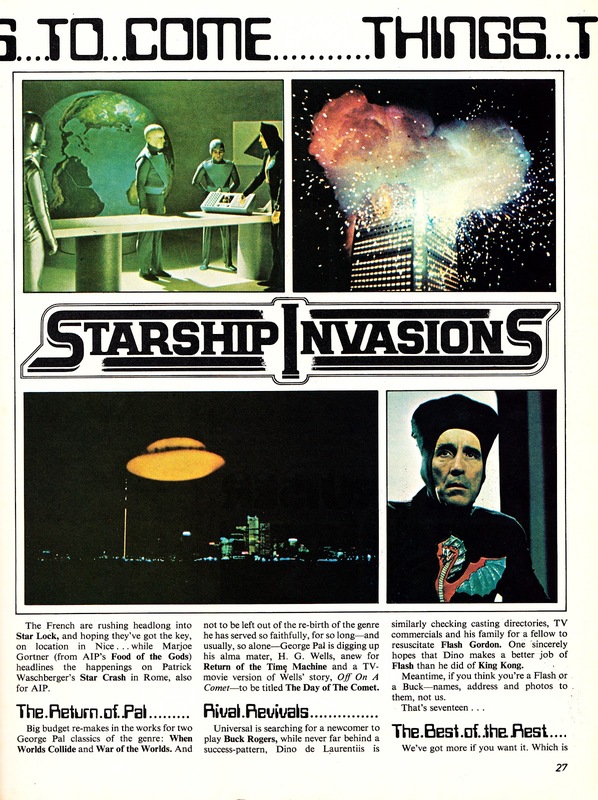 This was followed by a series of five 8-page mini-comic inserts included in IPC's boys adventure weeklies on a fortnightly basis during July - September 1983. BATTLE formally became BATTLE ACTION FORCE from the issue cover-dated 8 October 1983 with half its pages devoted to three toy-based strips. 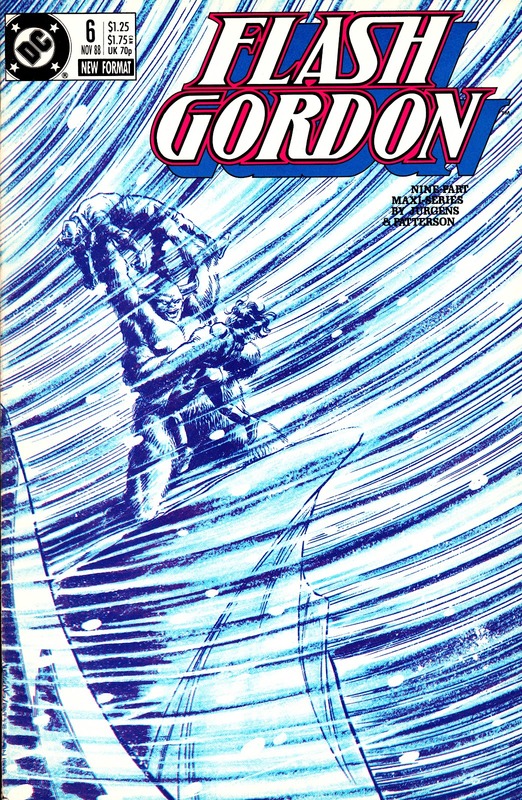 This arrangement lasted until the issue cover-dated 6 December 1986 when the Action Force material was dropped ahead of a new full-colour Marvel UK weekly (mixing original British material with reversioned G.I. 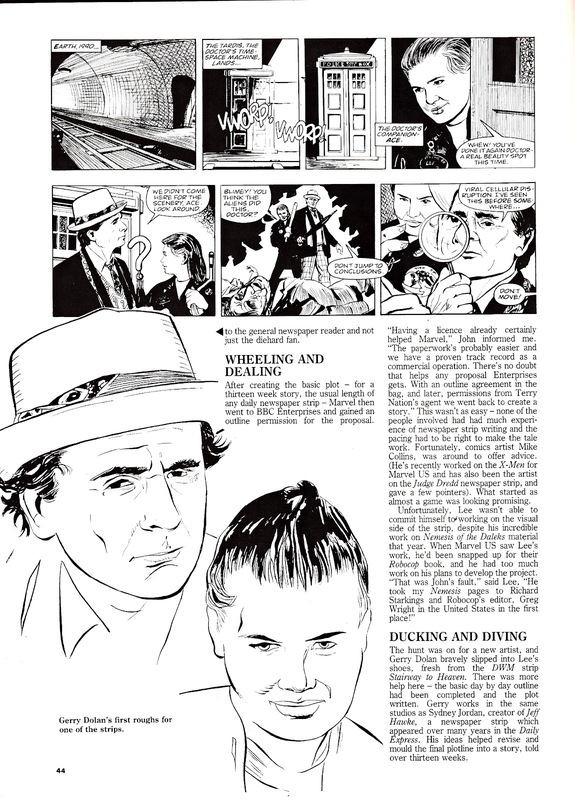 JOE reprints). 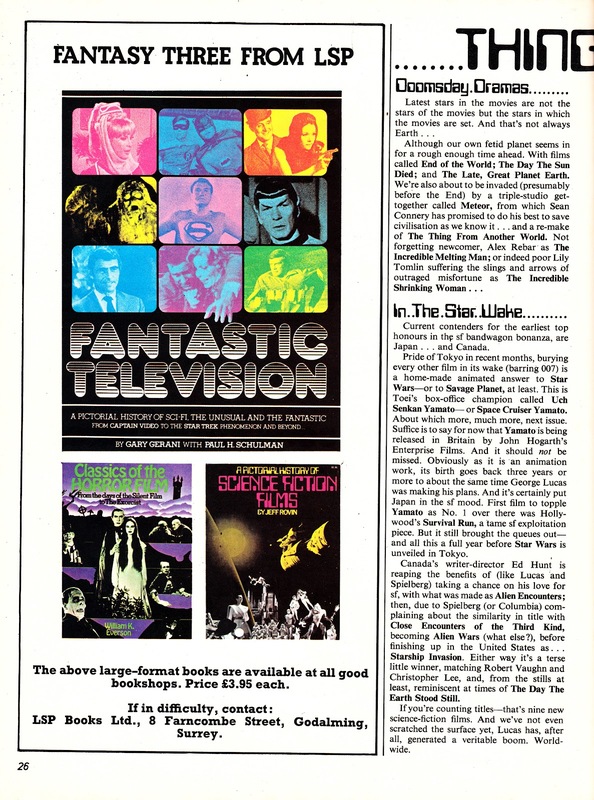 Monkee Davy Jones joined the big Headquarters in the sky today. By way of a Slow Robot tribute, here's his track, I Can Make You Happy, from The Haunted Horseman of Hagglethorn Hall, an episode of THE NEW SCOOBY DOO MOVIES, first aired 2 December 1972. 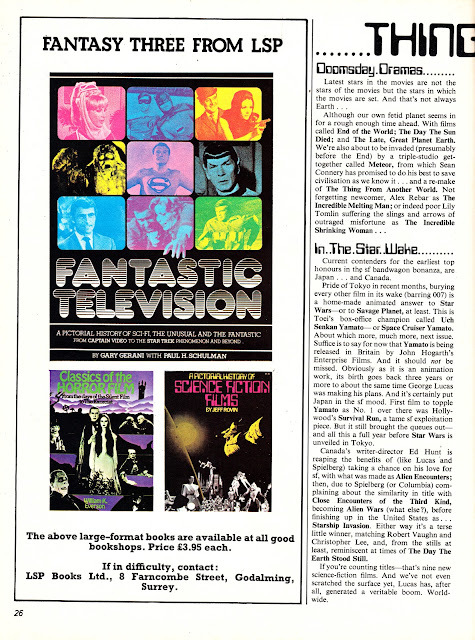 As you'll see above, Davy's name was spelt incorrectly on the title card for the episode. 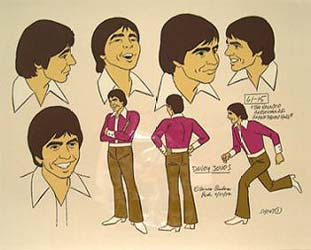 Below is Davy's animation model sheet. 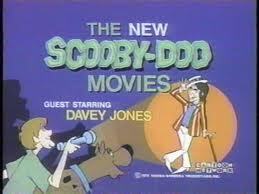 The track is available on the CD SCOOBY DOO'S SNACK TRACKS. Remember the DOCTOR WHO newspaper strip? Nope? 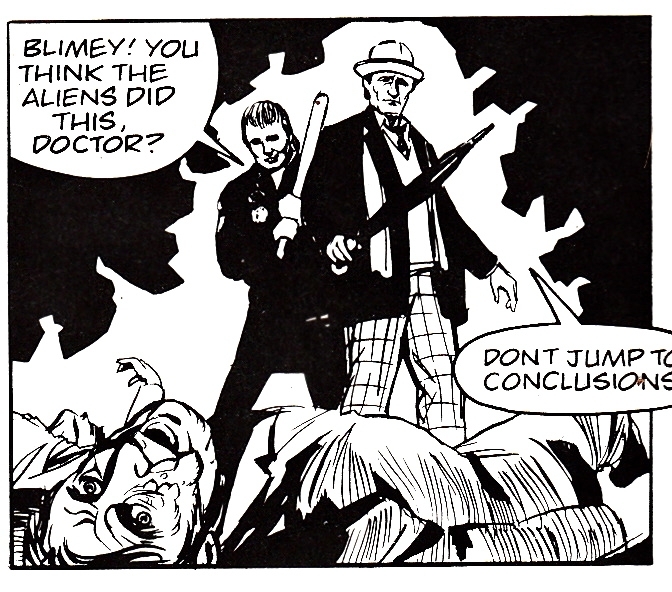 Well, it didn't happen. But it almost did. In the late eighties, despite the declining fortunes of the TV show (cancelled in 1989), Marvel UK tried to flog a Doctor Who strip to the British press. Unsurprisingly there were no punters but the end results were published in DWM in 1990. 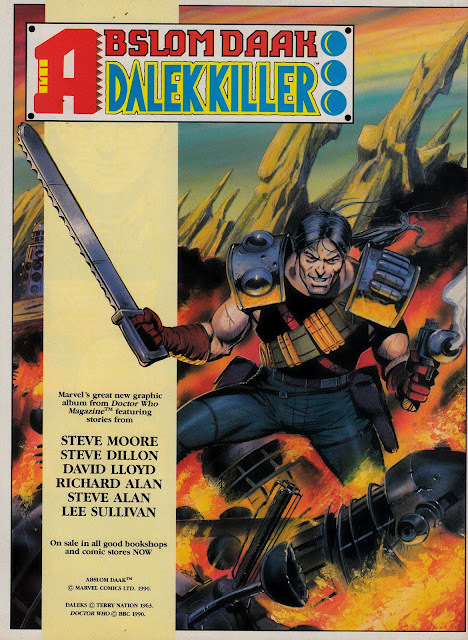 The Abslom Daak covermount flexidisc was based on the Marvel UK-created Dalek Slayer and concocted to coincide with the release of the Daak graphic novel (house ad below), collecting his exploits-to-date. This is the first issue of THE LUCASFILM FAN CLUB magazine (October-December 1986), official successor to THE STAR WARS FAN CLUB and the BANTHA TRACKS newsletter. 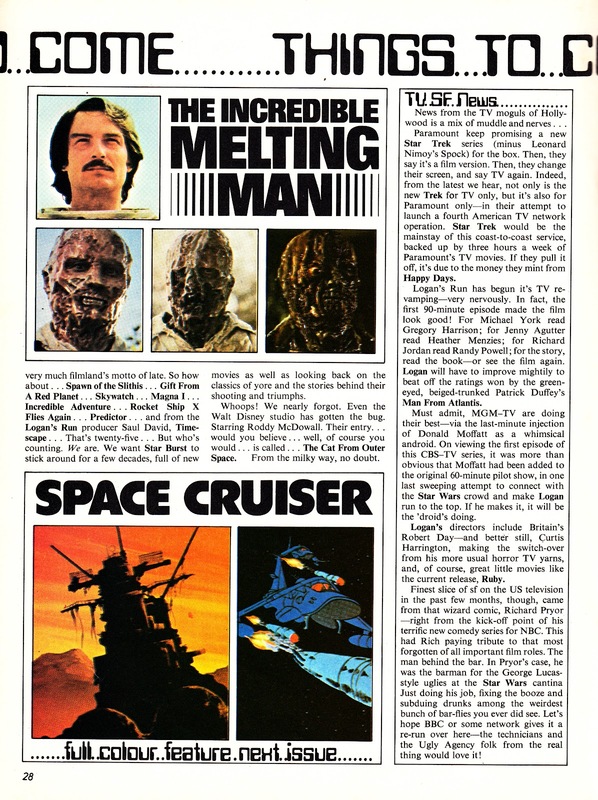 The glossy-but-flimsy (16 pages!) 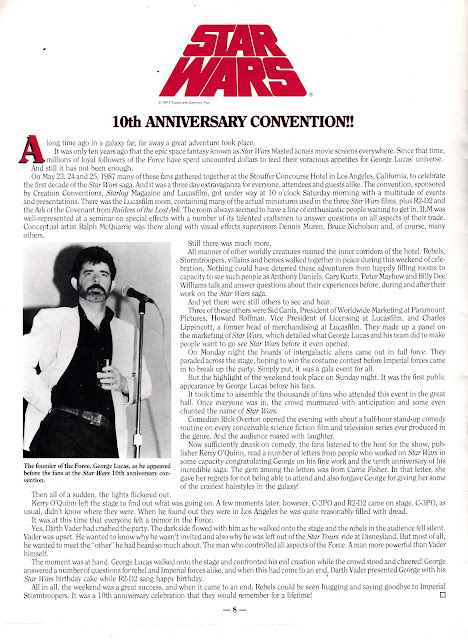 affair, published by the people behind the equally insubstantial OFFICIAL STAR TREK FAN CLUB, was launched to mark the 10th anniversary of the release of THE NEW HOPE. 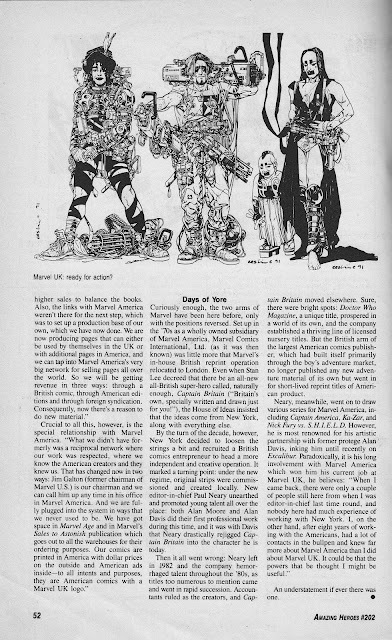 Unfortunately, it coincided with a particularly unproductive time in the Star Wars 'verse (the spin-off TV projects had been cancelled, Marvel had shuttered their long-running comic book and new novels and comics were still years away) so there wasn't much to say. 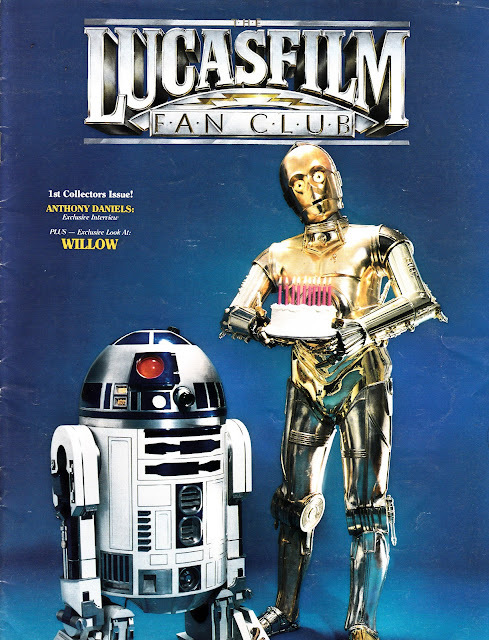 But Anthony Daniels can always be relied upon to provide an interview. 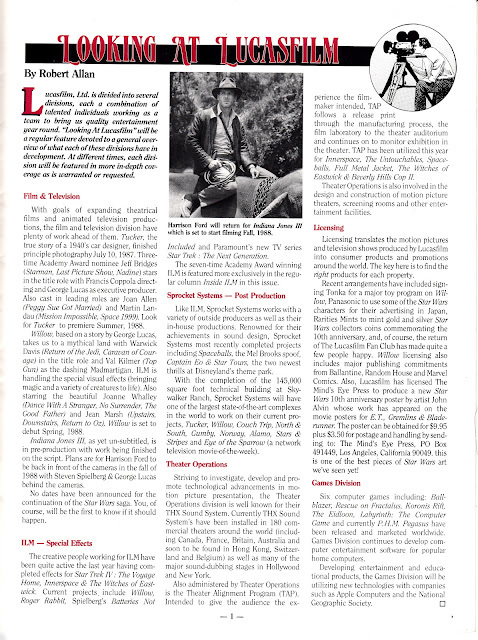 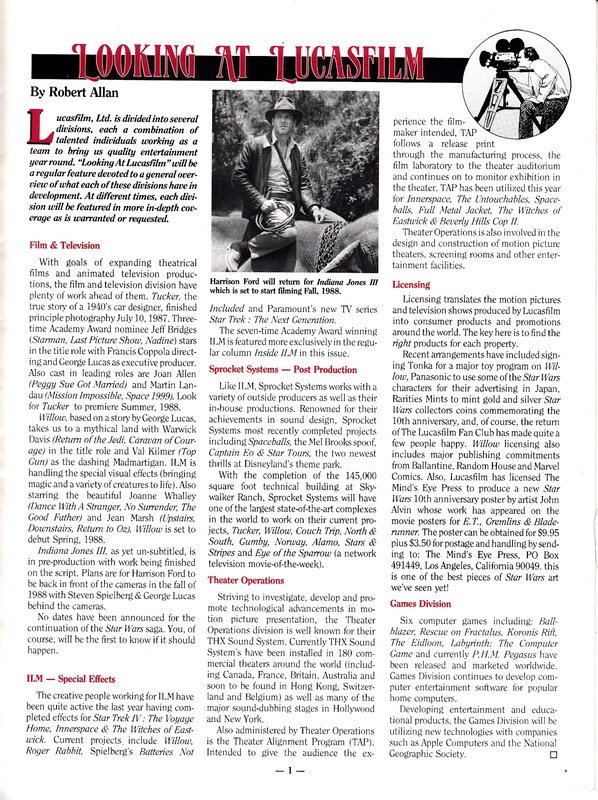 Renewed interest in the saga (both within Lucasfilm and in the real world) has led the magazine to evolve, through various incarnations, to the current Titan-published STAR WARS INSIDER magazine. 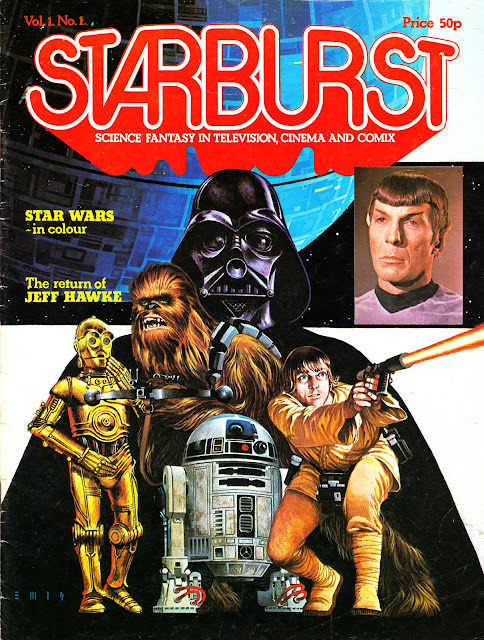 To celebrate the (unexpected, but most welcome) return to print of STARBURST MAGAZINE, here's the cover and selected interior pages from issue one, published by Dez Skinn (pre-Marvel!) 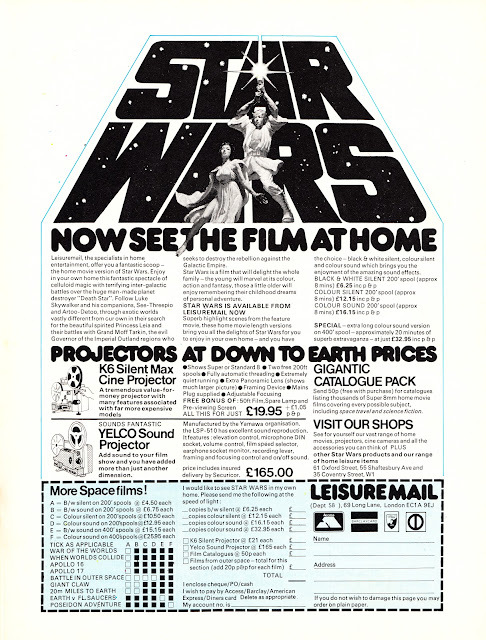 in January 1978 (coinciding, if you hadn't guessed, with the UK release of STAR WARS). The Star Wars-themed cover had to be amended slightly (added Spock!) 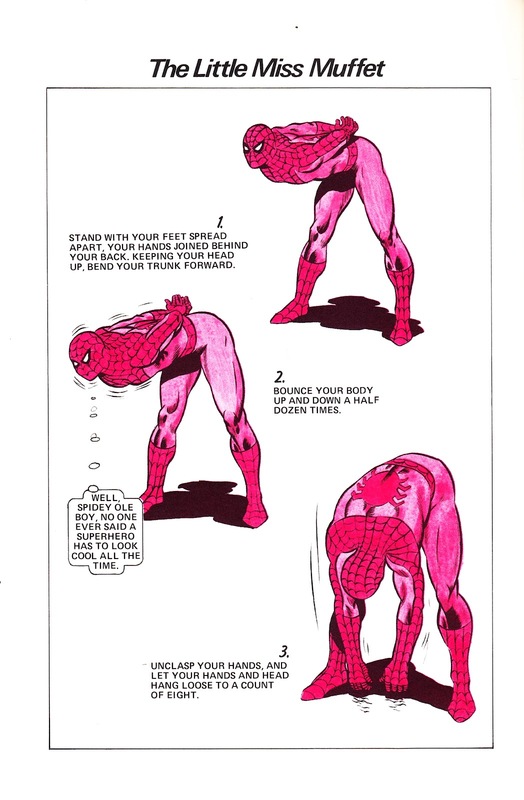 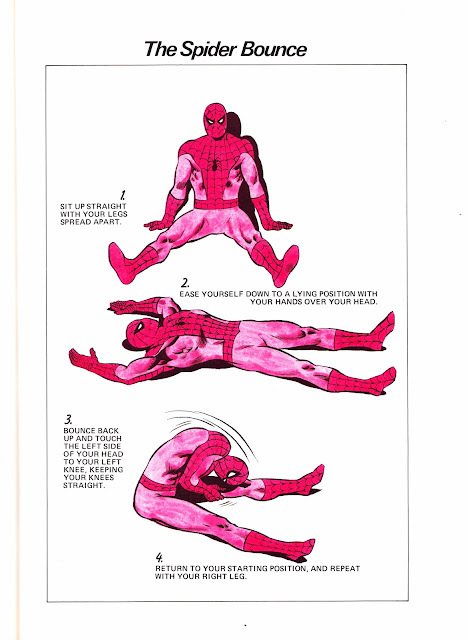 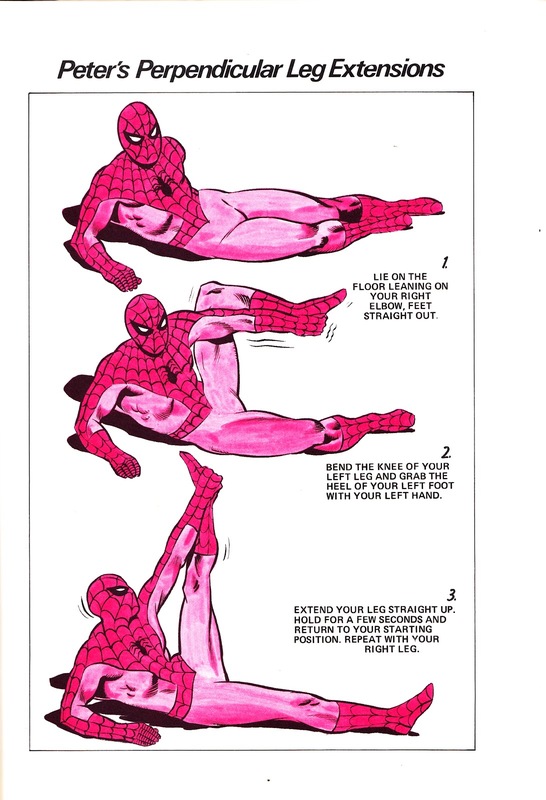 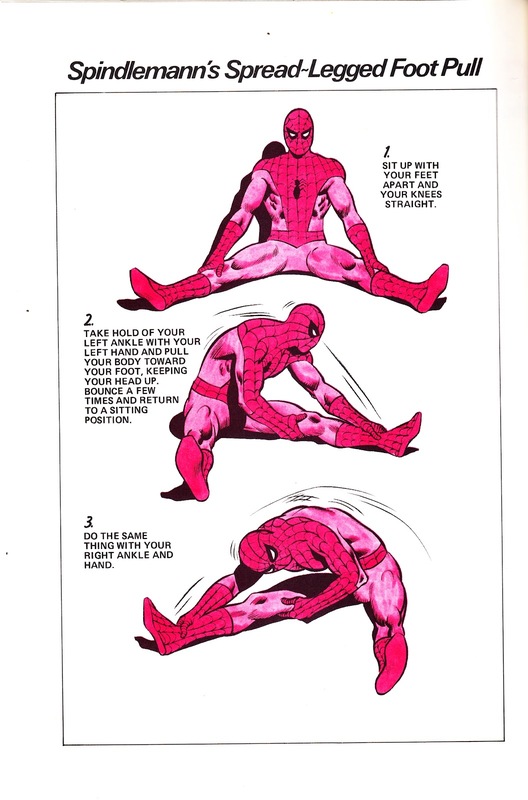 to avoid stepping on the toes of official license-holders Marvel UK. 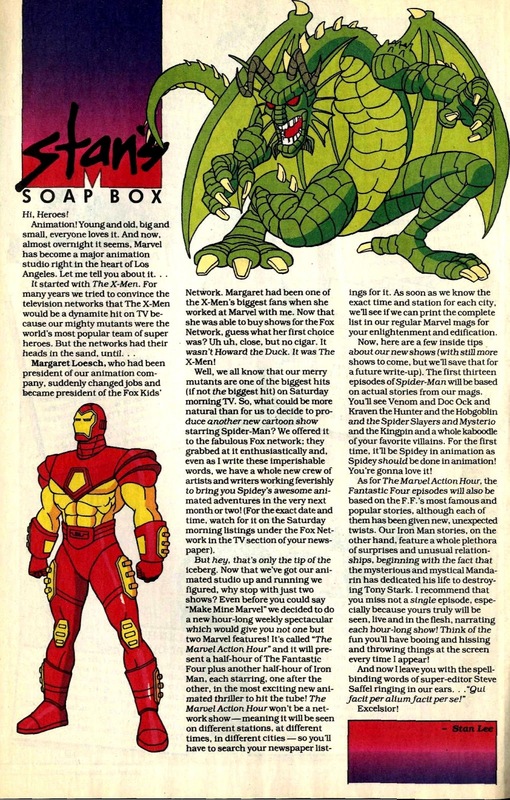 Starburst, and Skinn, joined the Marvel fold shortly thereafter. 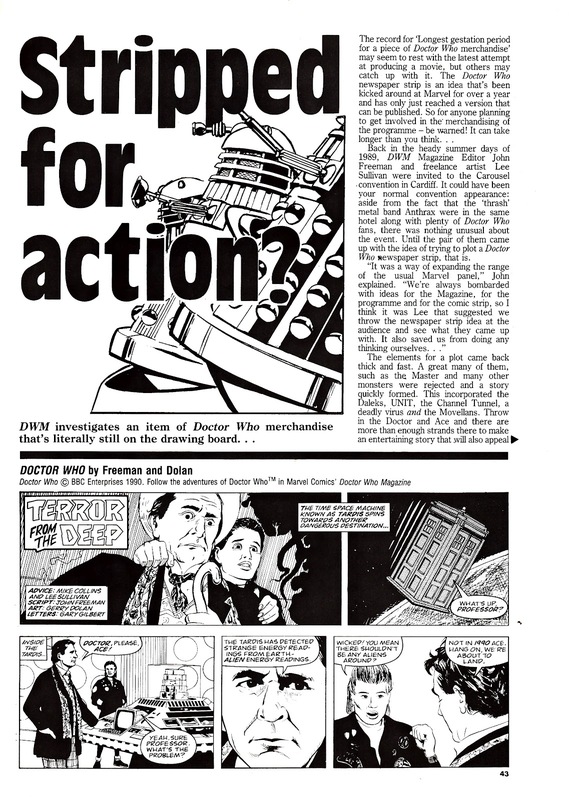 Skinn didn't stay for long (but launched DOCTOR WHO WEEKLY before he went) but Starburst stuck around until 1985 before it was sold-on to Visual Imagination. 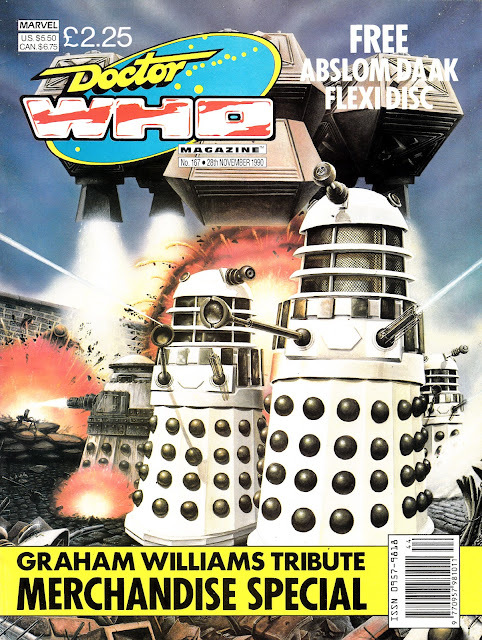 The original incarnation clocked-up 365 issues (to 2009) before VI succumbed to the declining magazine market. 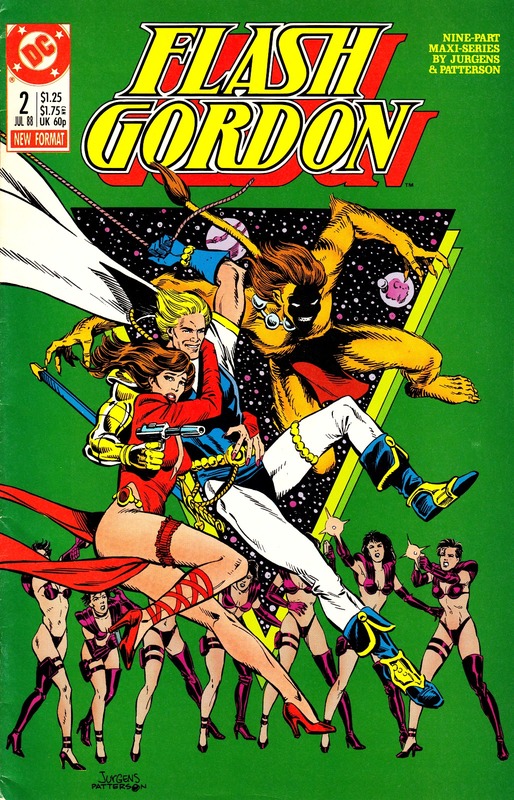 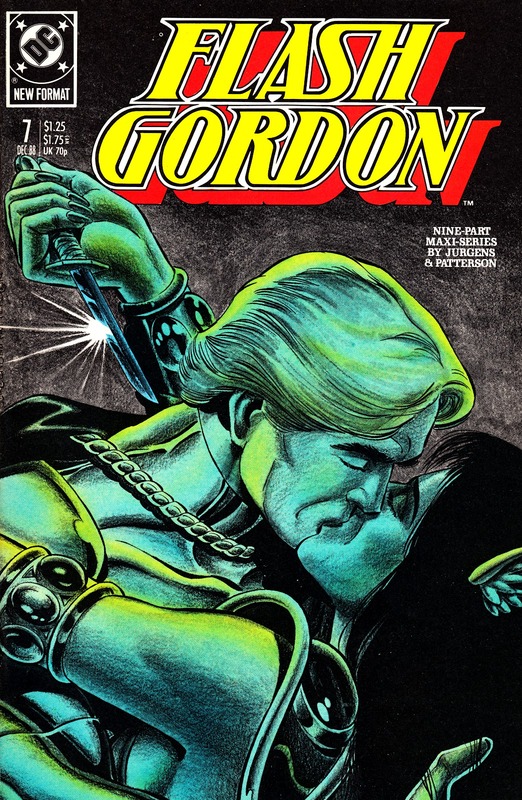 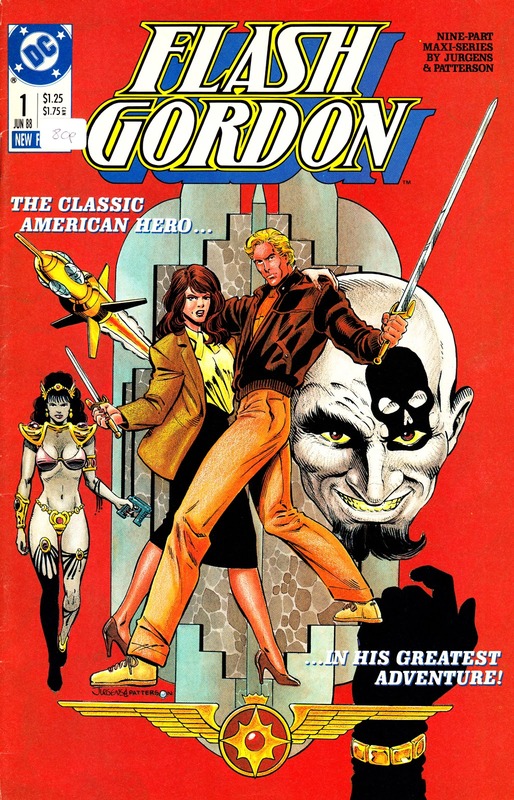 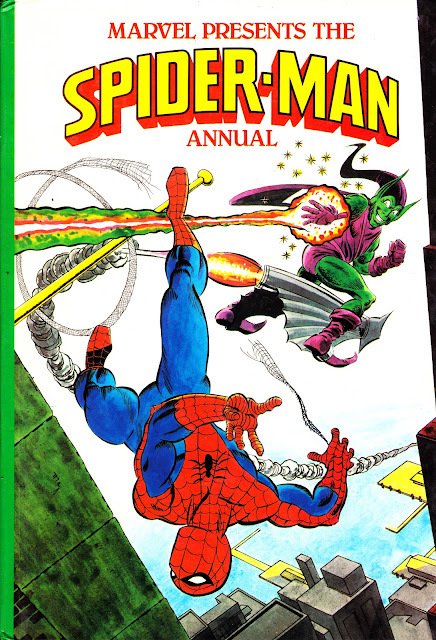 It also spawned spin-off Poster Magazines (EXCALIBUR and ESCAPE FROM NEW YORK), two hardback annuals (during the M-UK era) and numerous specials and yearbooks under VI's ownership. Before VHS... there were home projectors! 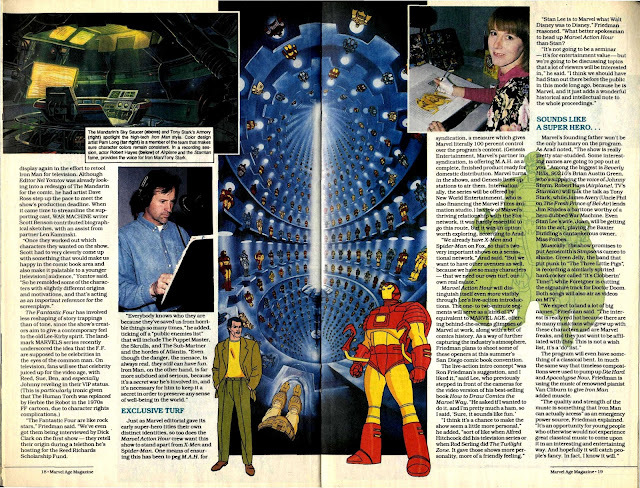 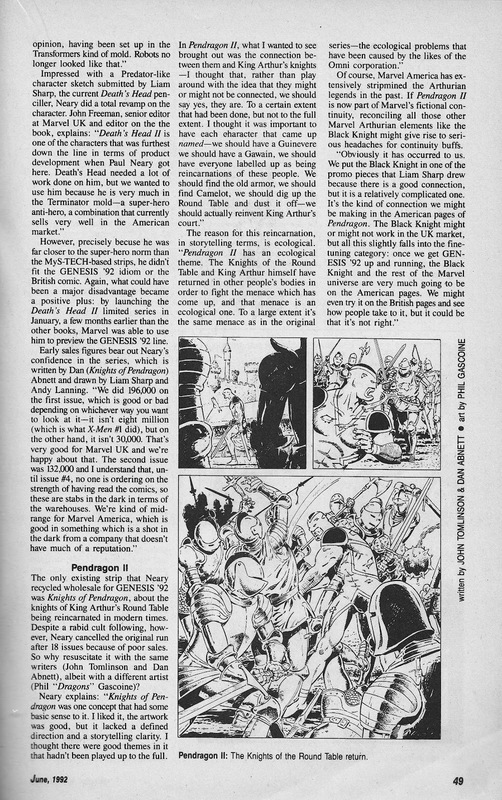 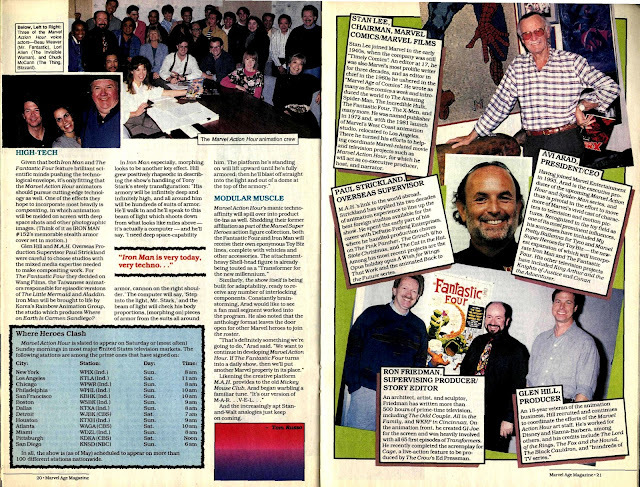 Here is an article from the final issue of MARVEL AGE MAGAZINE (140, September 1994) covering the launch of Marvel's new animated series (joining the already-on-the-air SPIDER-MAN and X-MEN) MARVEL ACTION HOUR. MAH was an umbrella title for two shows: THE FANTASTIC FOUR and IRON MAN. 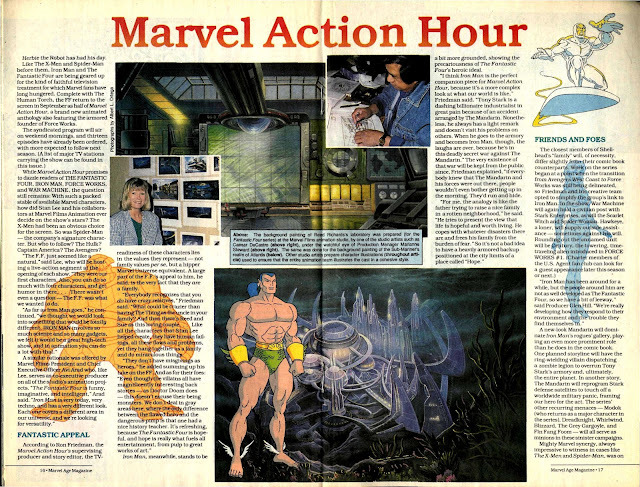 MAH had its own overall title sequence (along with each segment) and was linked by live-action introductions by Stan Lee (playing Master of Ceremonies). 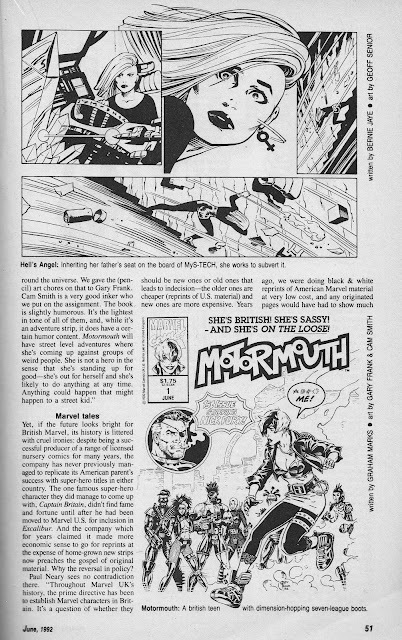 The syndicated MAH was clearly being produced on a lower budget than its networked contemporaries and fans were critical of its sometimes shoddy storytelling and production standards. 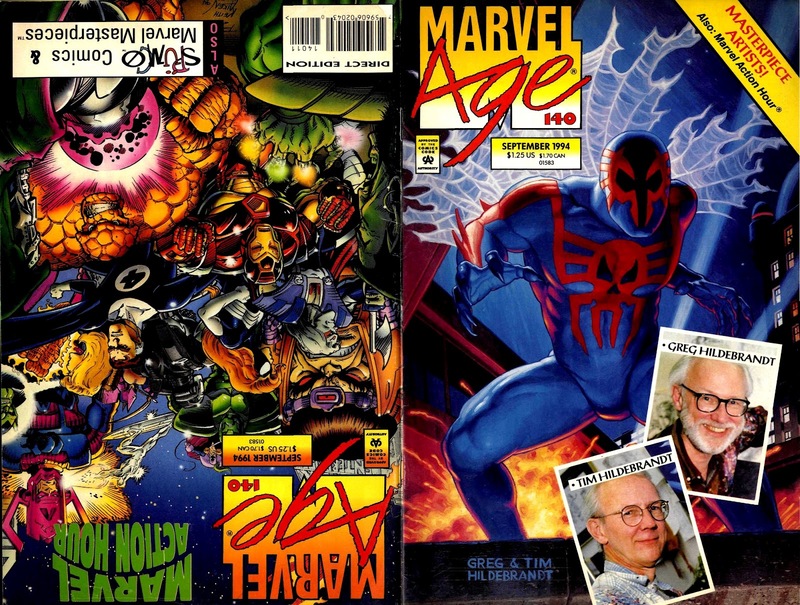 Unusually, Marvel seemed to listen and the retooled second (and final) season was a significant improvement. 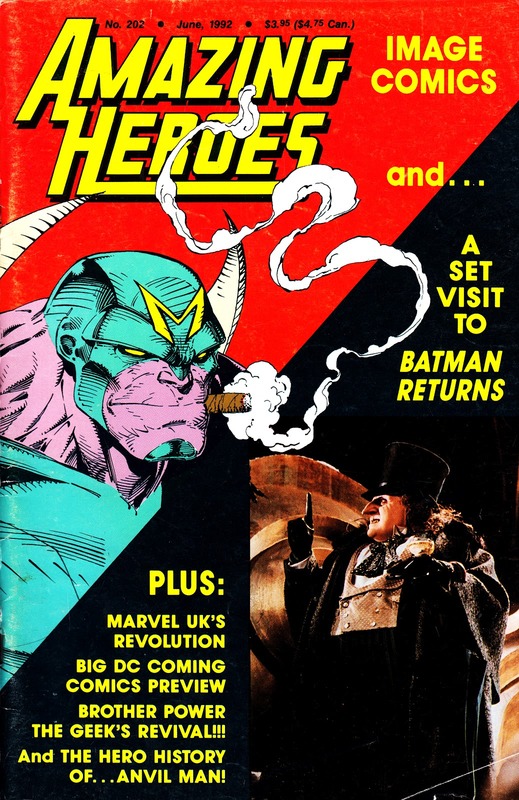 The show aired on BBC ONE in the UK, with a third animated feature (usually reruns of the early 1980s INCREDIBLE HULK show) added to justify the title on a non-commercial broadcaster. Marvel-US launched two monthly series based on the two MAH shows. In the UK, a MAH comic proved short-lived. 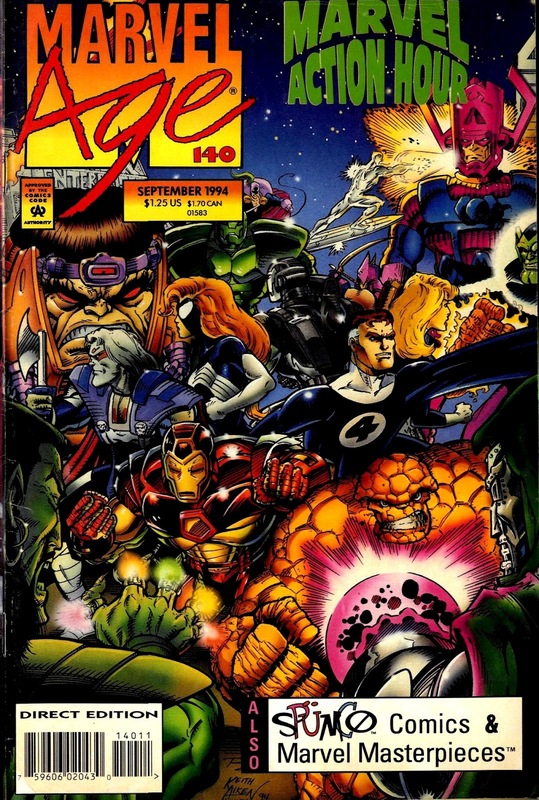 Interestingly, neither the FF or Iron Man reprints were derived from the US tie-ins. 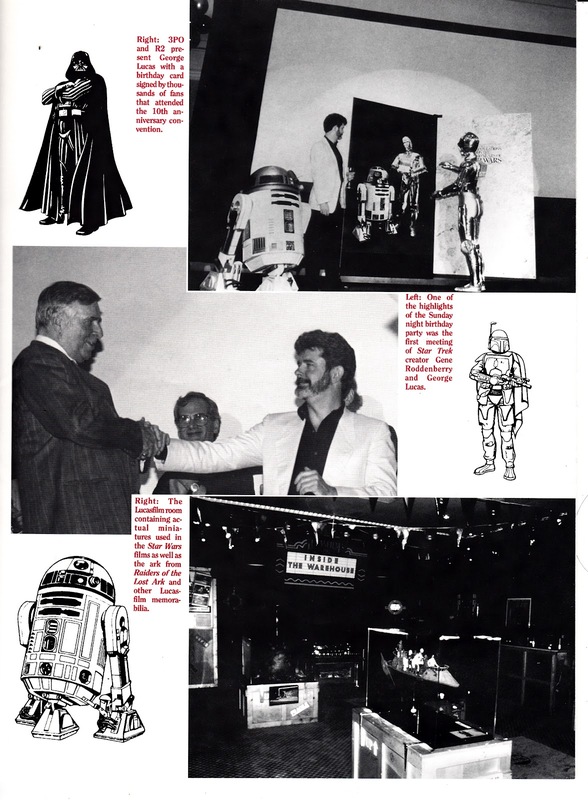 The show was accompanied by a hefty amount of merchandising, including toys. Both its constituent series have subsequently been released on DVD without the MAH branding or Stan's introductions. 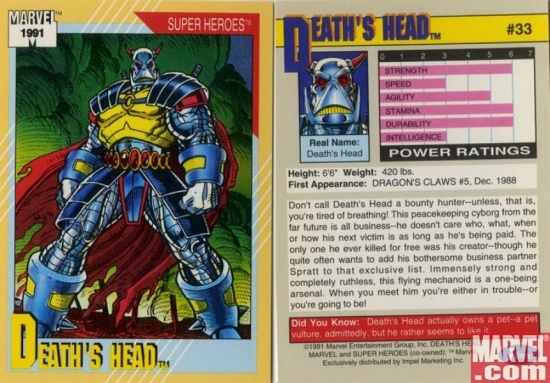 Here, courtesy of Marvel.com, is the DEATH'S HEAD trading card, issued in 1991. 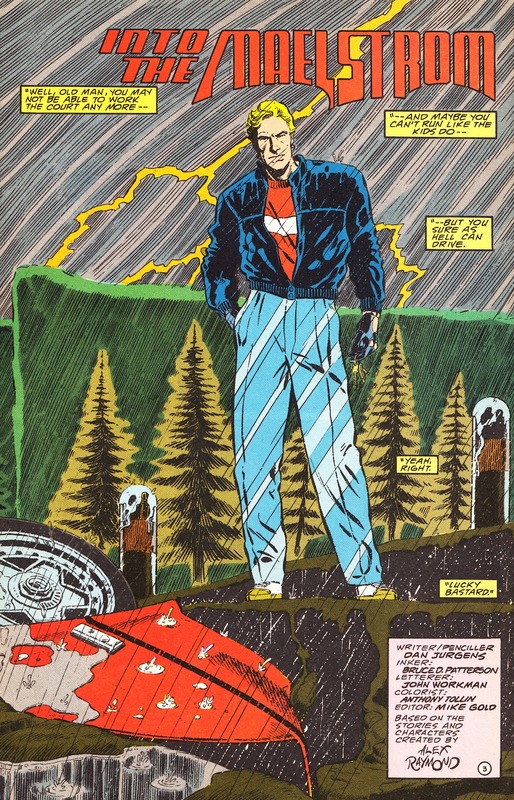 The 'first appearance' data isn't entirely accurate. DRAGON'S CLAWS may have been his first US-format (albeit published by Marvel UK) appearance but he's already built a cult following in M-UK's THE TRANSFORMERS 113 (16 May 1987) before a guest-shot in DOCTOR WHO MAGAZINE 135 (April 1988). 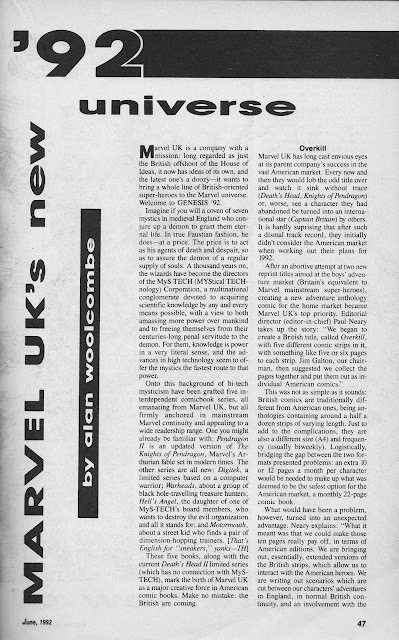 Today, Slow Robot ushers in the Marvel-UK Universe (M-UK-U) with this article from US pro-zine AMAZING HEROES 202, June 1992 (actually the penultimate issue: the double-numbered 203/204 was the last regular edition). 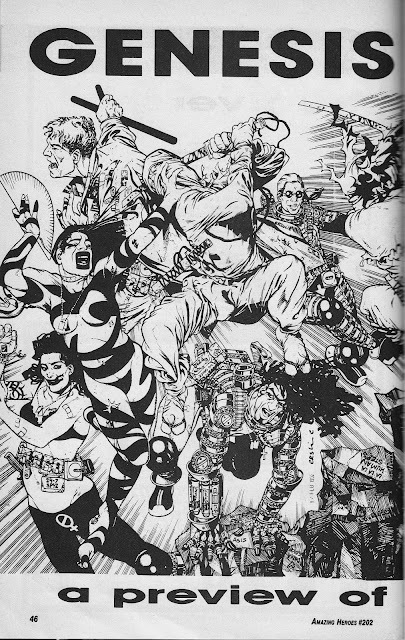 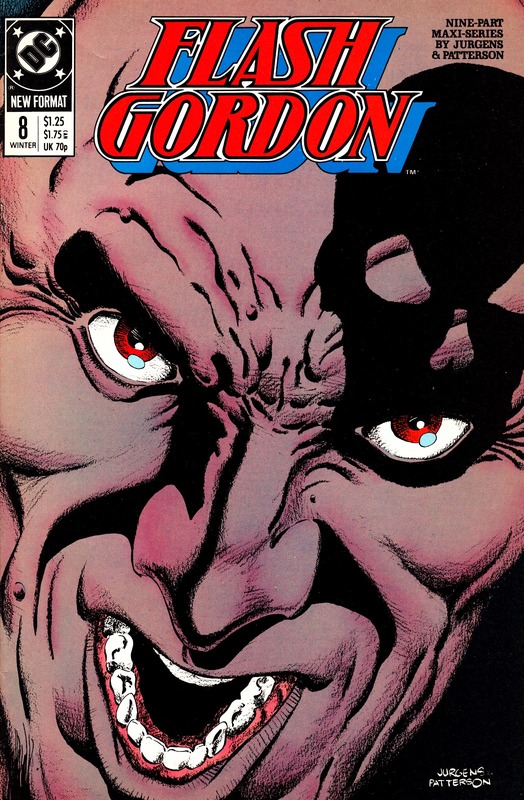 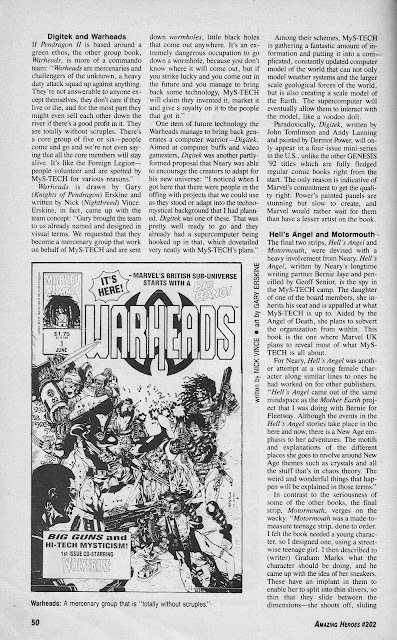 GENESIS '92 was the working title for the five original M-UK US-format monthlies (THE KNIGHTS OF PENDRAGON, MOTORMOUTH, WARHEADS, HELL'S ANGEL and the limited series DIGITEK) which also, in edited form, formed the inaugural line-up for the UK fortnightly OVERKILL. 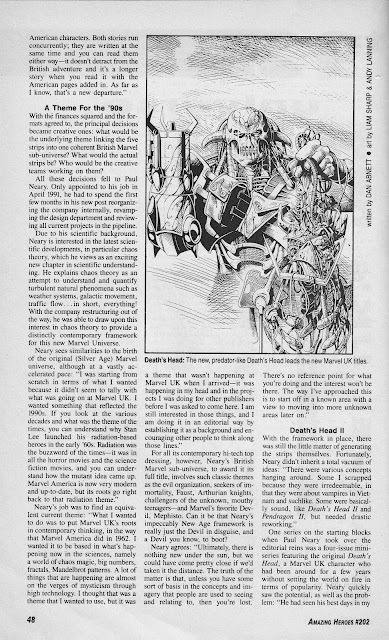 DEATH'S HEAD II, the first of the M-UK monthlies specifically produced for the US market, wasn't originally part of the 'Overkill family' but his (brief) runaway sales success ensured he appeared there (and everywhere else) as well. 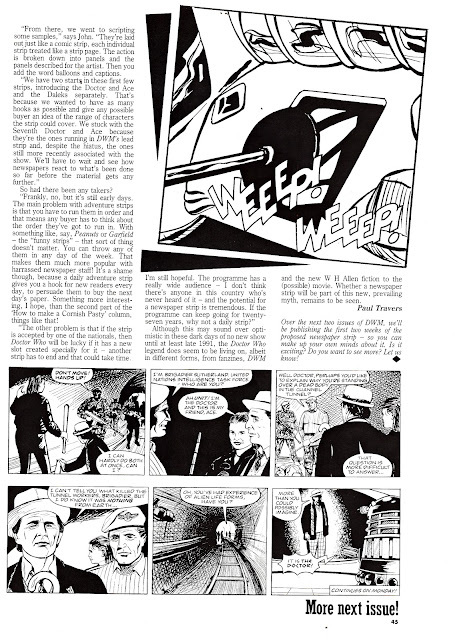 Slow Robot will have lots more on the M-UK-U in future postings. *Slow Robot is in no way responsible for any death, injury, embarrassment, damage to clothing or addition to the Sexual Offenders Register as a result in participating in any of these exercises.